The treatment can benefit all skin types. The technology involves the power of a vacuum and broadband light. It can treat pustular, comedonal, and inflammatory acne on the face and body. It can also help minimize oil, pores, and blackheads. It requires 6 treatments, 1-2 weeks apart. 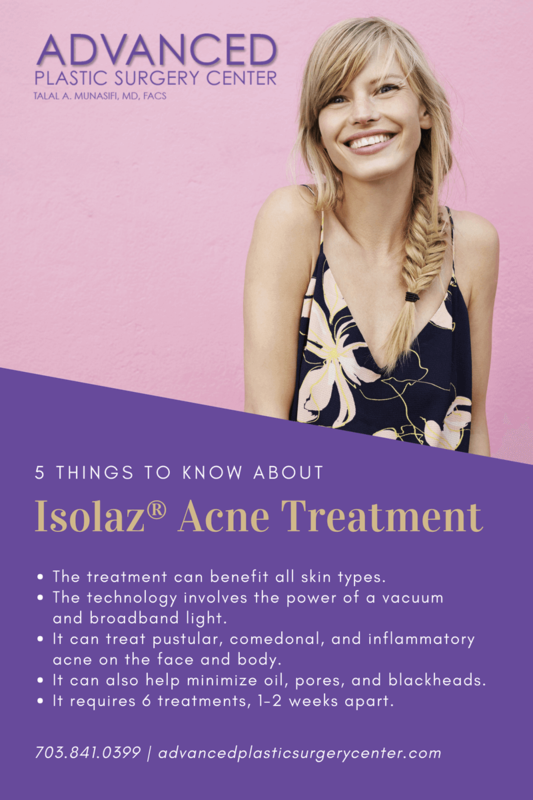 If you think Isolaz might be right for you, schedule your consultation, here.